Starting Oct. 15, Okanagan wine columnist and author Julianna Hayes leads a five-week UBC Okanagan Continuing Studies course to unlock the mysteries of wine. Want to sample an eclectic array of Okanagan wines with no strings attached? Consider joining fellow wine enthusiasts for a one-of-a-kind event, Winemakers on the Go, presented next month by UBC Okanagan Continuing Studies. Winemakers on the Go puts a lively, interactive twist on traditional wine tastings. Participants are seated at a table and joined by one of several Okanagan winemakers who engage in informal one-on-one chats and tastings of their wines. After 20 minutes a bell rings, and a new winemaker is sent to your table. The event takes place on Saturday, Nov. 14, from 1 to 4 p.m. for a cost of $99. Also presented by Continuing Studies this semester is a non-credit course called Wine Exploration - Gems of the Okanagan, taught by Okanagan wine columnist and author Julianna Hayes. This five-week program helps unlock the mysteries of the revered beverage. Participants will become familiar with the common terminology, and learn how to decipher labels, evaluate wine and discover how and why certain foods and wines go together. "Wine doesn't have to be intimidating. 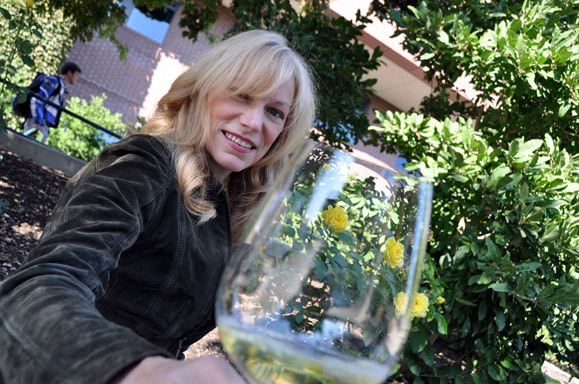 In fact, developing an appreciation of wine should simply be about enjoyment," says Hayes. Wine Exploration - Gems of the Okanagan will be held on Thursday evenings from 7 to 9:30 p.m., beginning Oct. 15. As well, Continuing Studies is hosting a one-day workshop on food and wine pairing, on Saturday, Nov. 7. "Join a chef and wine expert for this hands-on demonstration workshop that offers tips on how to put wine and food together so they sing on your palate," says Elaine Crebo MacLeod, Continuing Studies program leader. "This workshop is bound to be educational as well as a sensory sensation." For more information visit the Continuing Studies website at www.ubc.ca/okanagan/continuingstudies or call Crebo Macleod at 250-807.9981.